Duet - Congratulations to the SNHU class of 2018! 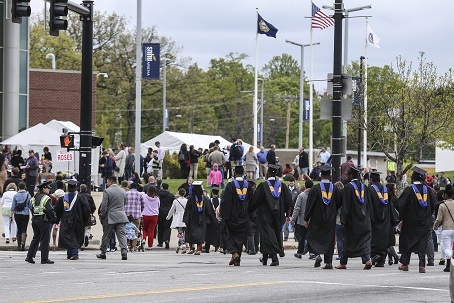 On May 12th the Duet team and more than 300 of ours students’ family and friends headed north to SNHU arena in Manchester NH, to join the thousands who were on hand to celebrate and cheer for those taking part in the Southern New Hampshire University’s 2018 graduation ceremony. This was my fourth SNHU graduation and the SNHU graduation team knows how to put on a great event. They perfectly balance the gravity and ceremony that everyone expects at a graduation with an entirely appropriate call for everyone in the arena to cheer and celebrate as loudly as possible and in whatever manner they like. I had the opportunity to carpool with a student, and my voice was scratchy for the car ride home after non-stop yelling for each Duet student as their name was called. This year I had to do far more yelling than ever before! While not everyone was able to attend graduation this year, most of the 66 students who were eligible were able to make the trip. 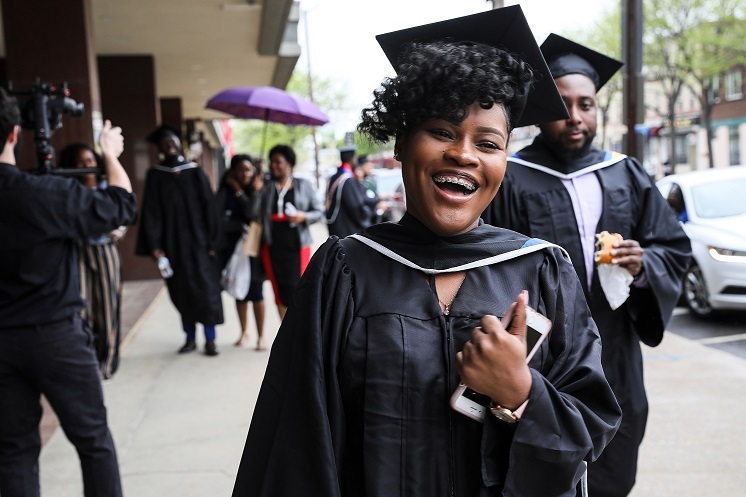 Many of these AA grads have already begun their Bachelor’s degree (either as Management, Healthcare Management, or Communications majors) or plan to start in September. 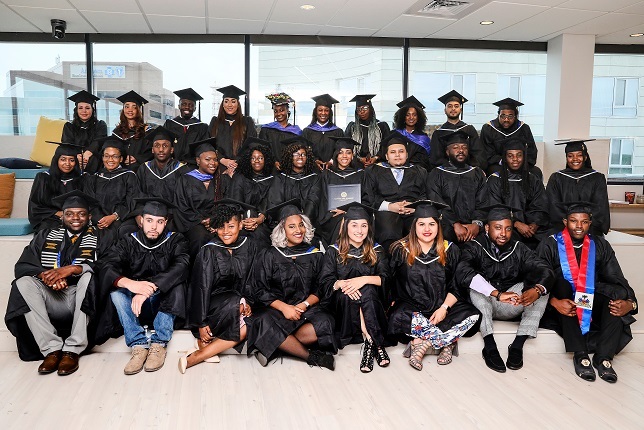 Our Employment Coaches have been working closely with these students during the time they were enrolled with us and will continue to offer coaching and career support for several years after they have graduated. 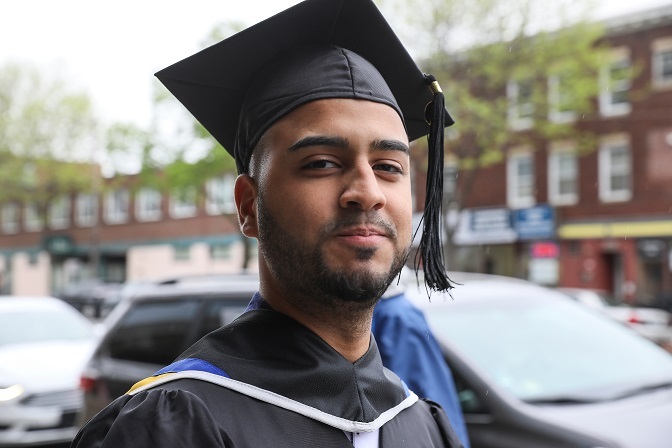 40 of the Associate Degrees were earned in under two years and nearly all of our students earned their degrees while working full time. The ability to earn a college degree quickly (while continuing to work) is a powerful thing and one that is hard to do in almost any other college setting. And the fact that our students EMBRACE this opportunity is a testament to their hard work, academic ability, and drive. 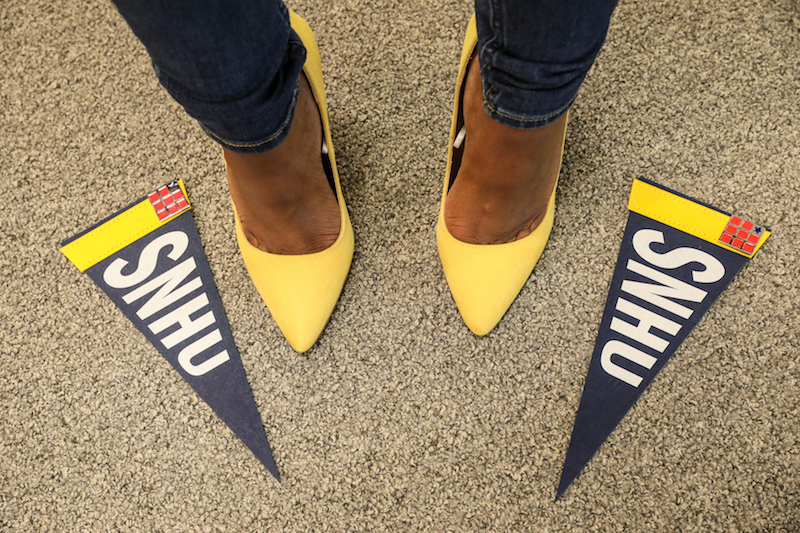 We currently have more than 250 students enrolled in SNHU through Duet, with many on track to walk across the stage up in Manchester in 2019. We continue to enroll monthly and we’ll be enrolling new students all summer. If you know a student who is interested in starting college or is going part time but would like to earn their degree more quickly – please send them to Duet.org. They can fill out the form on our website and rsvp to attend an information and enrollment meeting. We’ll support them through our simple enrollment process.